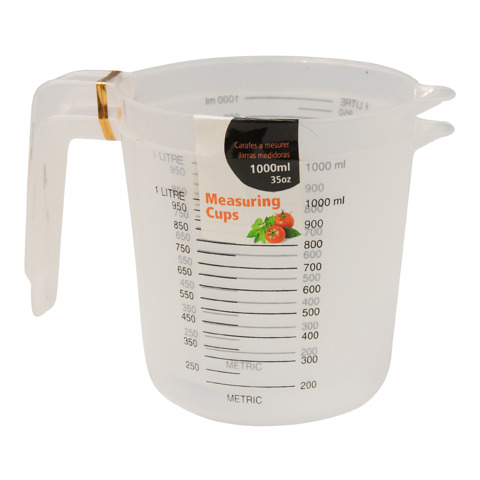 Measuring Jug Clear 1L 2Pk. 1 Litre. Clear W|Black Measurements Printed On Side. PP Plastic. 56G Packaging: Gold Tie with Colour Label.